Static websites, Dynamic Websites, CMS websites, E-Commerce Websites, Concept websites. Engaging and good looking….that’s how a website must be!!! But that’s not all about it. A website should also perform well which in turn depends on how it looks….the factors which get it noticed and make an impression first hand. 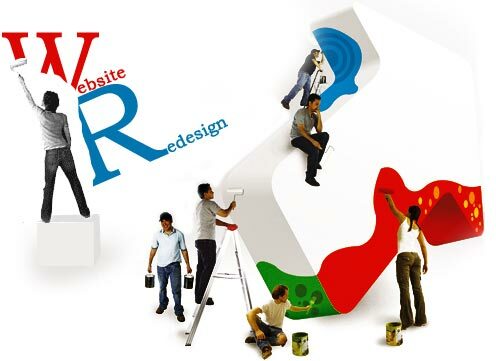 We believe in designing websites that not only impress the visitors but also retain and convert them. 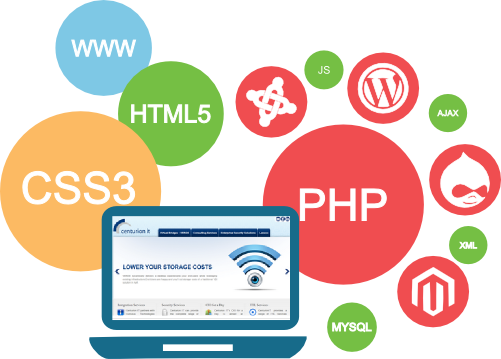 We deliver custom-built web applications and websites to cater to our clients from a diverse field of businesses. We specialise in the delivery of secure e-Commerce and database driven projects. Your design vision is our focus for development. Our methodology makes us distinct from others which in turn brings uniqueness to the development process. Our designs are great and properly structured resulting from project specification that have been simplified by our team which has the skills and creativity to develop websites that will engage your clients. We love what we do and are passionate about every project we undertake. It is our aim to develop websites that not only look great but also perform to the highest technical standards. Website designing is our passion and for our team of hard working, efficient web designers no challenge is too great or small for the development of your website and its promotion across borders. A fresh and original website can make that difference between success and failure. At E-Com Web Solutions we can drive your way to success and help you achieve the desired result. Here we combine the creative design with SEO expertise to deliver you a website that works for you in the most effective manner 24×7 without compromising on quality and design. Good web designs are very much relative to time. A fantastic web design today might not be the need of the time tomorrow. As with time designs fade and become outdated. As a result, so does your business represented by these Web designs. The website is your shop front for the digital age. A shabby looking website will make the business look bad. With the online buyers being an impatient lot usually make up their mind about a site in a few seconds. Hence a timely redesign can help increase the marketing value of your business front that is open 24/7, 365 days a year, creating the business opportunities on the various search engines. 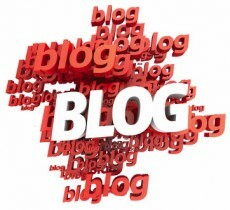 Blogs make ad hoc communication possible with your target online audience. Blogging is a free and convenient way to establish your domain expertise, generate trust with your clients, and increase search engine rankings. 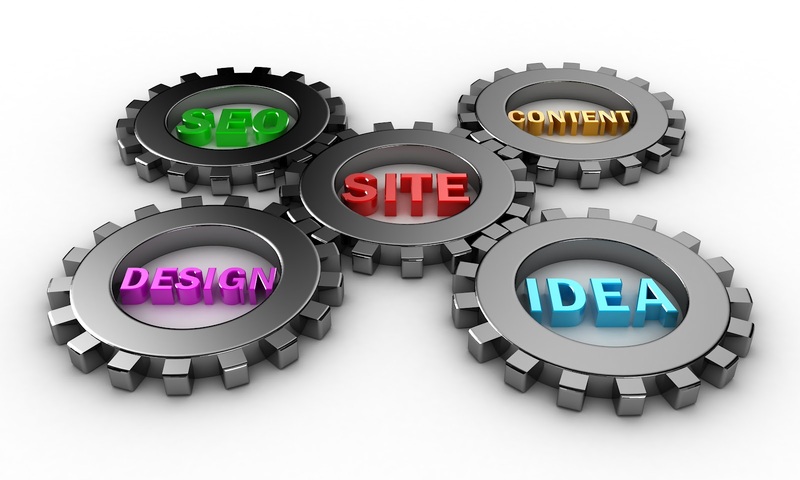 At ECom Web Solutions, we will set u, design and integrate your blog with the website. 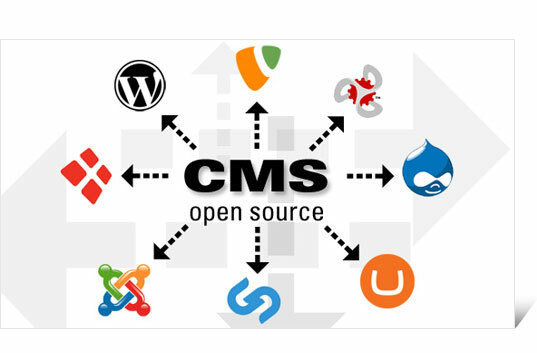 Convention has it that when it comes to CMS websites WordPress is the fast and easy way out while the Drupal works for more complex and enterprise class websites and is a techies delight. Joomla finds its way somewhere between the two. However of late, all the three CMS’s have evolved way beyond their origins. The Drupals got easier, WordPress can furnish sophisticated websites and what more, now Joomla has both CMS and Web Development platform. And then there are OS Commerce, Magento, Volusion and Big Commerce, etc. the online store management systems, an open source eCommerce and online store management softwares. Our multi talented team is adept to give you control of your website using our custom CMS, but at the same time we also develop sites with WordPress, Joomla, Drupal, etc.